❤Use nail or small device to turn the battery cover. ❤ Insert batteries and "+" mark can see, make sure battery faces the right way. ❤Put batteries cover on the top and 4 feet into holes to lock it. ❤Connect the main device with the gel pad, then attach it between your ribs and hips. ❤ Press the middle button to turn on the main device, indicator light flashing 3 times. ❤Auto turn off about 5 seconds later if you do not attach to body. 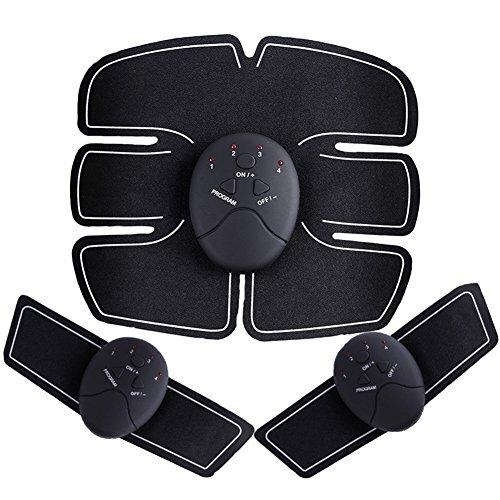 Abs Stimulator, adopting advanced EMS technology and made of high-quality material. Replaceable large gel pad which massages larger area. If you have any questions about this product by Demana, contact us by completing and submitting the form below. If you are looking for a specif part number, please include it with your message.